Stinkyink.com provides ink cartridges for all printers, with a fantastic choice of both genuine ink cartridges and cheap compatible ink cartridges. All of our ink cartridges have a 12 month money-back guarantee, covering both your product and printer, giving you the confidence to enjoy our huge savings. There's also free delivery on everything: another of the many reasons Which? magazine voted us the #1 ink retailer in the UK. If you're shopping for genuine OEM ink cartridges you'll find them clearly labelled as manufacturer originals. Looking to save money? Our compatible ink cartridges were voted the best in the UK, with unbeatable reliability, print quality and value for money. In addition to original ink cartridges we are famous for our cheap compatible inks. Often saving you over 70% on genuine cartridges, our compatible and refilled inks just drop in and work with the same print quality and reliability you expect. We have cheap ink for nearly every cartridge range, in particular the best-selling cheap HP ink cartridges and cheap Epson ink cartridges. We only list cartridges that pass strict quality testing, and we monitor their performance constantly to ensure they perform perfectly for customers. If you've had trouble with other supplier inks, give ours a go. We have the most up-to-date chips and the highest-quality ink. Our cheap Canon ink cartridges and compatibly Brother ink cartridges have customer satisfaction ratings of over 98%. As usual, the order was delivered promptly and was correct. A good service that I have used for several years. Bloomin' fast delivery! 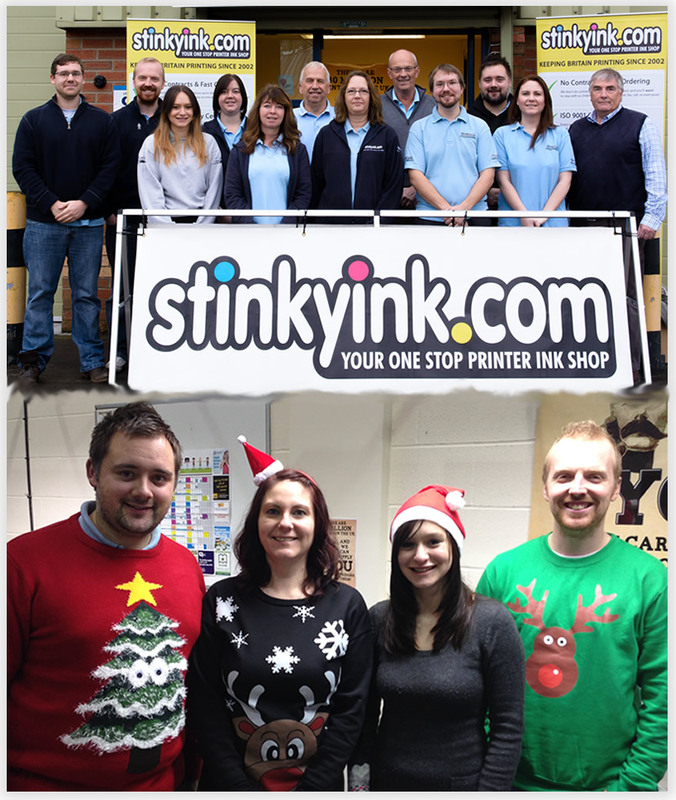 Stinkyink keeps in touch - more than any company I've dealt with. Like their special offers too! Original manufacturers ink cartridges for my Hp printer at a really good price compared to other sites and fast delivery as well. Can't beat it. Recommend Stinkyink.com to anyone. Fantastic product, print quality is very good. This is the first time I have used this product and I will be recommending it to everyone I know. Intallation was easy, print quality was first class with my XP800. Have no complaints about Stinky Ink, a first class service.